This beautiful contemporary media chest offers a stylish storage solution for your master bedroom. The sleek piece features six medium lower storage drawers, great for movies and miscellaneous media equipment. 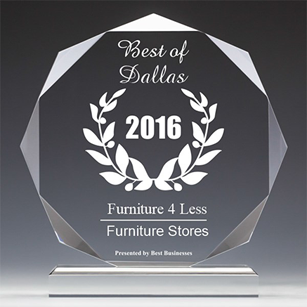 Three smaller top drawers are great for stashing remotes, while two top open compartments are ideal for electronics components. Use the generous top surface of this chest for your television, for comfortable viewing in sophisticated style. Chambered drawer fronts and simple contemporary metal knobs complete this modern look. 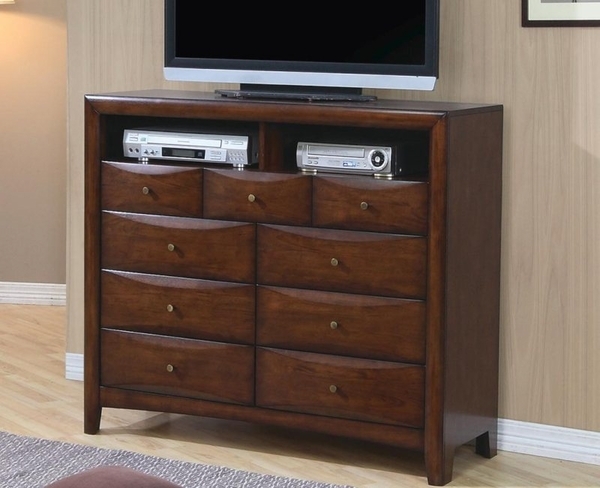 This television chest is sure to complement your calming bedroom decor. ▪ Murik Brown Coated Microfiber Sectional # 500325 DISC. ▪ Modern Red Bonded Leather Sectional by Albany BLOWOUT SALE! DISC. ▪ Modern Brown Leather Sectional by Albany Furniture BLOWOUT SALE! DISC. ▪ Modern Grey Leather Sectional by Albany Furniture BLOWOUT SALE! DISC.